New design, the appearance is simple and it is more convenient for carrying. Adopt USB plug, plug and play, avoid the troublesome of driver installation. Great mini speaker for PC/notebook. High quality sound and bass ouput. 2.We'll send the order to your PayPal address when you make payment,please make sure the PayPal address is correct. Generaly we ship worldwide by China Airmail for Freeshipping, if you need ship by other Express such as DHL/FEDEX/TNT/EMS for fast shipment, please contact with us before payment. We ship worldwide by China Airmail for freeshipping items! Your item will be shipped within 2-4 business day upon receipt of payment. 1)USA/Canada/Australia Customer: 9-21 Business days. Customs clearance can increase the delivery time if your package is held up by customs officials, We did not take the responsibility for clear custom in destination country. 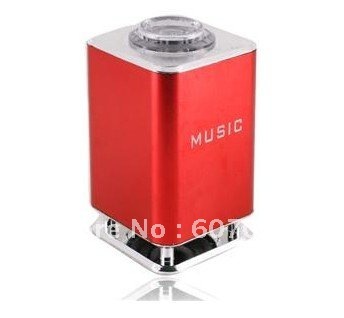 Mini Speaker MP3 Player Android Speaker Wifh FM Support TF Card Free shipping! !